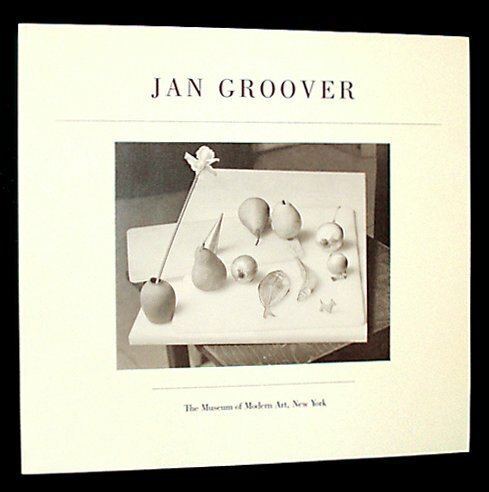 The work of Jan Groover has taken on many forms throughout the past two decades. Her early dyptichs and tryptichs of buildings, architectural details, and moving vehicles revealed her conceptional interests during the 1970's. The still lifes that followed showed a mastery of color materials, light, and form, and pointed to her education as a painter. During the late 1970's Groover became accomplished with the use of platinum materials and produced portraits, cityscapes, and more still lifes. Her most recent work continues with the exploration of tension between common forms in table top still lifes. This major retrospective exhibition catalogue beautifully reproduces samples of these works and includes an intelligent analysis of her work by curator Susan Kismaric.